Thank you to our 2018-2019 Employer Partners! Hundreds of internship & job leads at your fingertips! 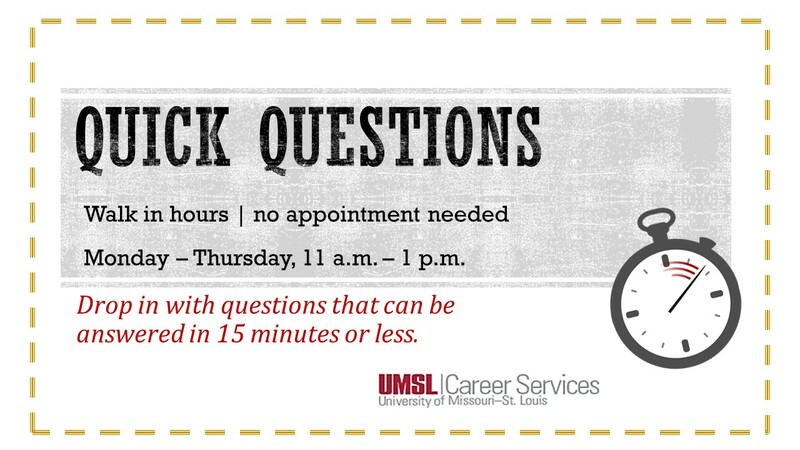 Stop in and talk with a staff member for quick questions! Access hundreds of interview questions across all industries! 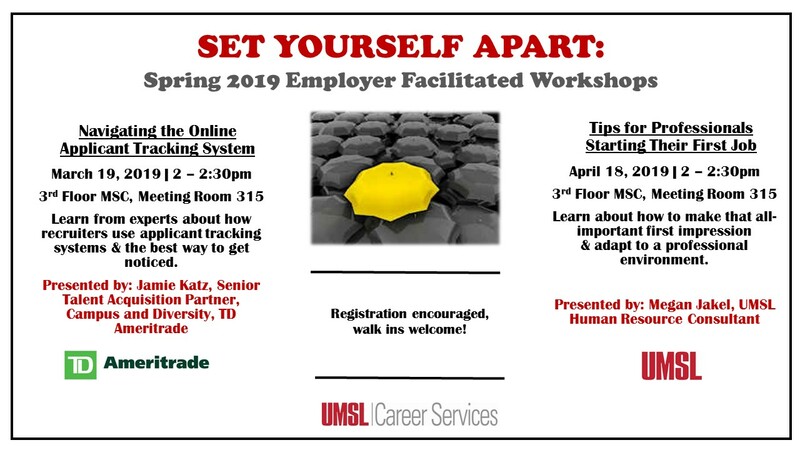 Get quick tips to help you navigate your career goals! Professional Dress: Hints for a work-appropriate wardrobe. 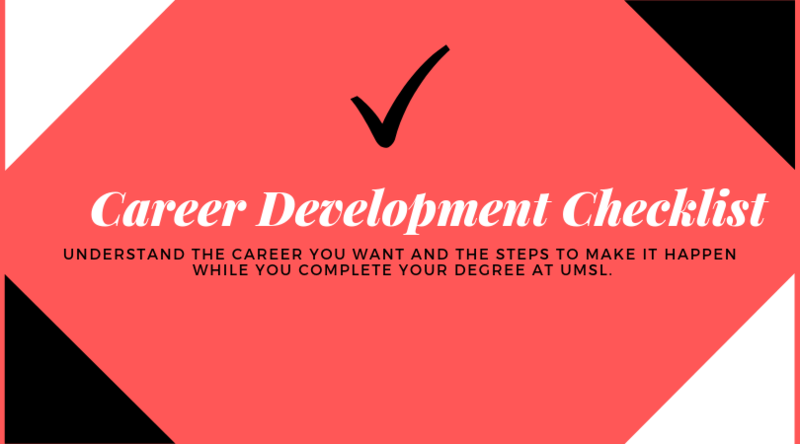 Career Development Checklist: Understand the career you want and the steps to make it happen while you complete your degree at UMSL. What Can I do with This Major? Connect majors to careers. 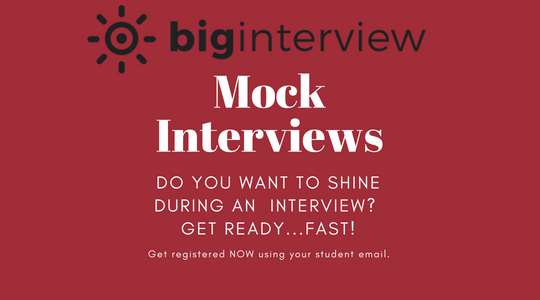 Informational Interviewing: Discover how to talk to those employed in careers of interest to gain a “real-world” view of the world of work. MERIC: Missouri Economic Research & Information Center, the research division for the Missouri Department of Economic Development, provides a data driven site on Missouri economic indicators, industry studies, occupation studies, regional information and community issues. Occupational Outlook Handbook: Profiles hundreds of occupations, including education and skill requirements, salary information, and job outlook projections. O*NET: Interactive site for exploring occupational information. Goinglobal: Professional advice and employment information for over 28 countries and 40 US cities. Salary Calculator: Detailed compensation guidance offered by the National Association of Colleges and Employers. 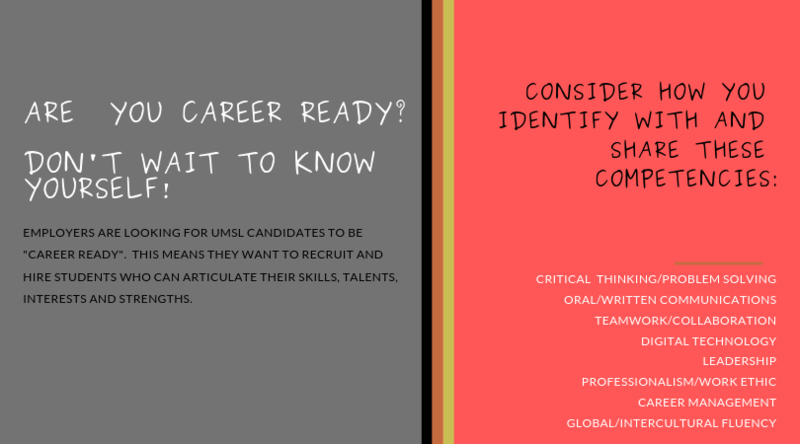 Career Services posts off-campus internship and employment opportunities for students and alumni, as well as on-campus student employment opportunities. Click on the links below to get started! Search the many resources listed below to find opportunities in your area of interest. 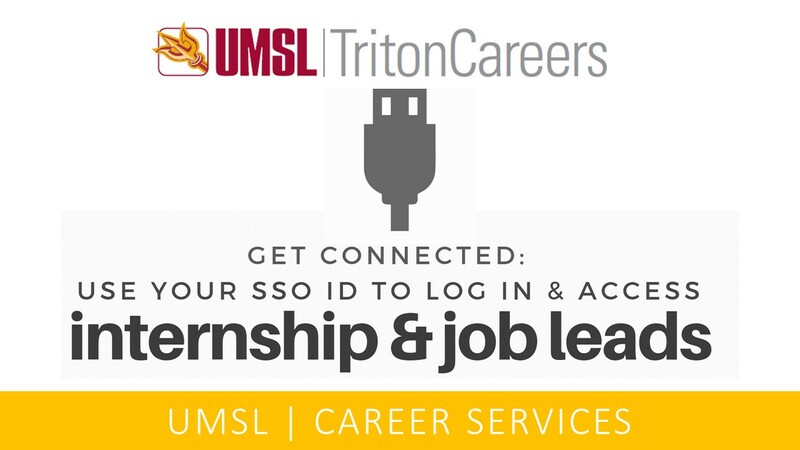 Many provide employer research tips, on campus networking, and interest related job links.